Bachelor of Computer Engineering (B.E.) from AITS,Rajkot,Gujarat. 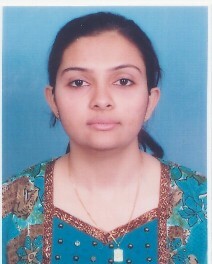 Affliated to Saurashtra University with 75.56% Distinction. Area of Training:Induction :-Core teaching skills,NITTR Bhopal. An analysis of increasing use of scientific techniques in lie detection test for criminology science. Pattern recognition as an emerging trend of AI. Campus Interview of SKH Y-TEC India Pvt. Ltd.